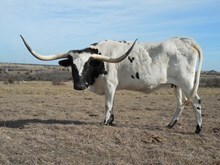 TWITTER is a big bodied cow with a gorgeous horn set. 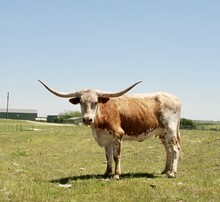 Her horns roll and twist lateral! TWITTER is all WATSON top and bottom! 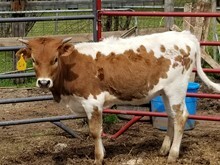 I love this cow. She had a heifer calf on 08/17/18 by WS ELEVATION and was confirmed bred back by palpation on 10/15/18. 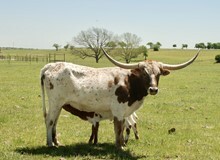 LONG M RANCH is super excited to add TWITTER to our herd and cant wait to see what her future holds!